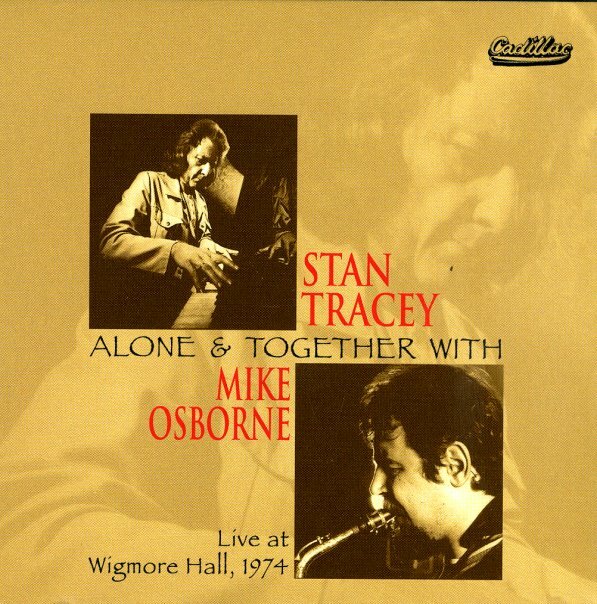 Two rare performances from the same evening of music in 1974 – one issued briefly on the album Stan Tracey Alone, one appearing here for the first time ever! CD1 features that Tracey album – an extended solo improvisation titled "Eighty One Plus One", which has Stan really stretching out at this key point in his career – that moment when he'd moved past his more angular, Monkish modes of the 60s – into territory that was much freer, and even more captivating – as Tracey always plays with this sense of timing that holds things together, even as his hands are soaring to the farther reaches of the piano! CD 2 features a duet with alto saxophonist Mike Osborne – also from the same night, and as one extended improvisation titled "Two Part Intention" – which has Tracey building up these layers of sound on piano, while Osborne glides freely over the top in a style that's both modern and soulful at the same time. Great stuff – and a much-needed example of this key moment in British jazz! © 1996-2019, Dusty Groove, Inc.